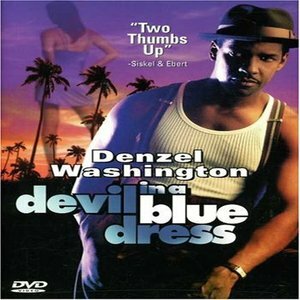 Devil in a Blue Dress:- It is 1948 in LA and Ezikeal “Easy” Rawlins, an African-American World War II veteran, is looking for work. At his friend’s bar, he is introduced to a white man, DeWitt Albright, who is looking for someone to help him find a missing white woman assumed to be hiding somewhere in LA’s Black community. This woman, Daphane Monet, happens to be the fiancée of a wealthy “blue blood,” Todd Carter, who is currently the favourite in the city’s mayoralty race. Daphane Monet is known to frequent the Black jazz clubs in LA. Easy, innocently, accepts Albright’s offer; however, he quickly finds himself amidst murder, crooked cops, ruthless politicians, and brutalising hoodlums.